It’s the first day of a new placement for you as an agency nurse, at a trust that you have never worked at before but you know is desperate for someone with your skills and experience. This is a job you know you can do easily and you are looking forward to it. But when you arrive you are told there are some procedures you are not permitted to do because your previous experience is not recognised. Furthermore, you can’t use the IT system because no one has arranged a log on, and when you step out of the ward for a quick break you have to wait for a colleague to buzz you back in as you don’t have a pass card. To cap it all, parking your car has cost you a tenner because no one has sorted out a staff parking permit. This story – or elements of it – will be familiar to many agency nurses. But it should also concern NHS hospitals that are not making the best use of the staff they have engaged. At a time when nurses are in short supply, this is a waste of people’s skills and the organisation’s money. Helen Goldsmith, a long-time agency nurse, says such problems are widespread and have a significant impact on how much help agency nurses can offer a ward. ‘In places that use e-prescriptions, I know of colleagues who can’t administer medication because they don’t have access to the IT system. In effect, you are almost employed as a healthcare assistant despite being a registered nurse. Sometimes it feels like you are making up the numbers so they can say they have a certain amount of registered nurses on the shift,’ she says. Nurses are aware that they should not be working beyond their competence, and that they risk running into trouble with the Nursing and Midwifery Council if they do, she adds. This in itself should mean they would not take on tasks they felt unable to perform to a reasonable standard. Likewise, trusts should not be asking them to do so – but Ms Goldsmith points out that agency nurses are often booked for one ward in a hospital and transferred to another in a different specialty without much thought about whether their skills are suited to the different environment. 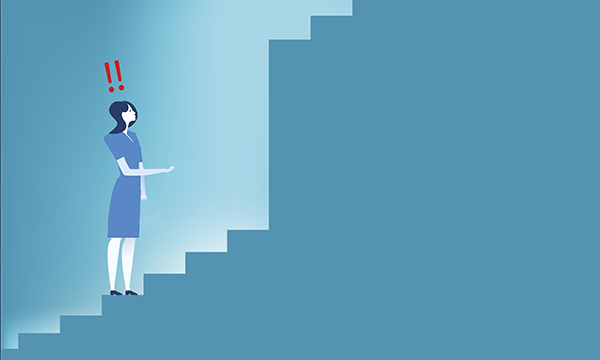 The RCN has worked with the Recruitment and Employment Confederation, which represents nursing agencies, among others, on a toolkit for agency workers. It covers many of these issues, including the need for host organisations to make optimal use of agency workers’ skills, the need for agency staff to be able to access work-based training in some circumstances, and avoiding moving agency workers to areas where they don’t have the skills and competences. It also highlights the need for trusts to think about health and safety issues for agency nurses and take steps such as providing safety inductions, ensuring the safe handover of patients and ensuring agency workers know how to report incidents. Policy director at the confederation Tom Hadley says many of the issues don’t just occur in the NHS. ‘One of the big challenges that employers face across many sectors is managing their temporary staff better. It is in everyone’s interests to make things better – you don’t want people who are already under pressure to feel further alienated,’ he says. However, all this is happening against a backdrop of the NHS trying to reduce its use of agency nurses and encourage them to move to bank or permanent roles. Some areas are starting to develop shared banks, where nurses and other staff can work across a number of NHS organisations with mutual recognition of skills and HR processes, such as checks on criminal records. But these are only for bank staff. For agency staff, one possibility might be for trusts and agencies to work together on a form of passport to ensure nurses’ skills are recognised. Agencies already ensure nurses meet certain criteria – that they are registered with the NMC, have had a Disclosure and Barring Service check, have done mandatory training and have had occupational health checks, so this could be extended to include clinical skills. Ms Goldsmith suggests this would require a high degree of trust between agencies and the hospitals involved. Another way to overcome these problems might simply be better preparation. For example, trusts ensuring that temporary log ons are available for agency staff so they can use IT systems, and other practicalities such as pass cards are arranged, while agency staff become proactive in anticipating problems and trying to find solutions. Ms Goldsmith says she always tries to get to a new placement early to ensure she can resolve any issues and get a full handover from staff who are going off duty. With the NHS pushing to reduce agency use, there are few signs it is willing to take concerted action on many of these issues. For agency nurses, this means continued frustration at not being able to deliver what they can – and a further embedding of the misconception they are somehow less skilled and inferior to permanent staff. Being unable to log on to IT systems and having to rely on healthcare assistants to enter data from observations into the patient’s record. This meant the nurse had to jot down observations on paper and might not be able to see that they were entered correctly. Lack of access to parking permits, meaning they had to pay up to £13 a day to park. As agency nurses are less likely to live in the area, walking or taking a bus to the hospital is often not feasible, meaning that they have no choice but to drive. Being unable to do some clinical work because skills and experience gained elsewhere were not recognised. Although they can be trained at the new hospital, this may not be feasible if they are only there for a short time. It can also lead to a feeling among other staff that agency nurses ‘don’t pull their weight’, which is unfair, as many want to do the more advanced parts of the job.